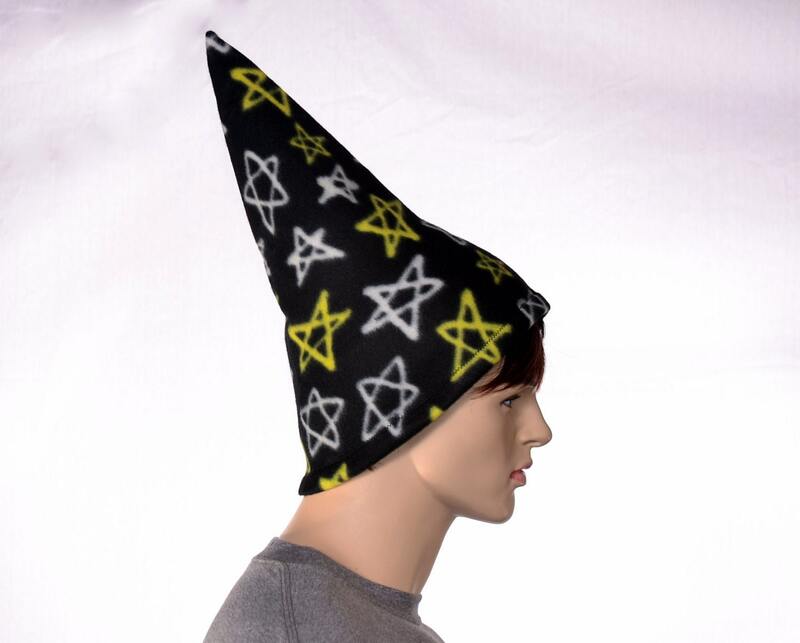 Black wizard hat made from soft fleece with printed white and yellow stars. 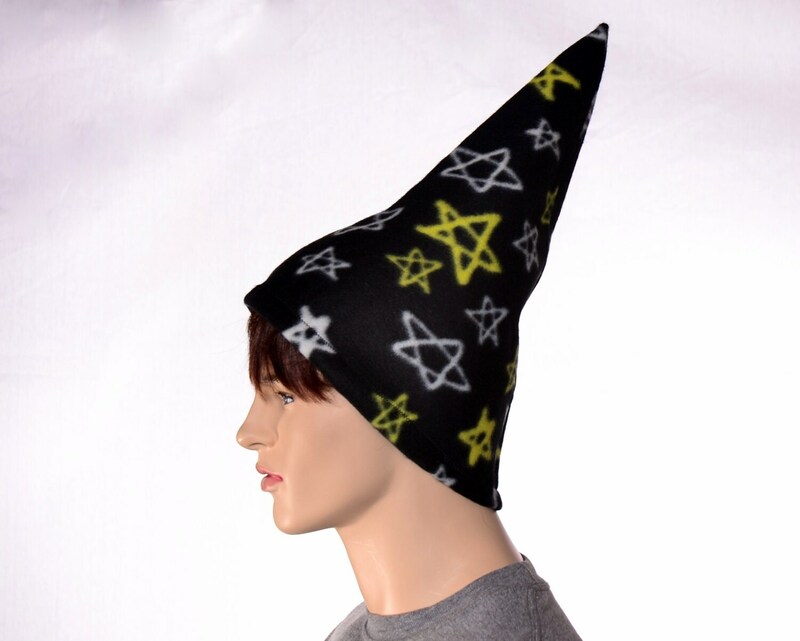 The stars are five pointed. Fabric placement may vary. 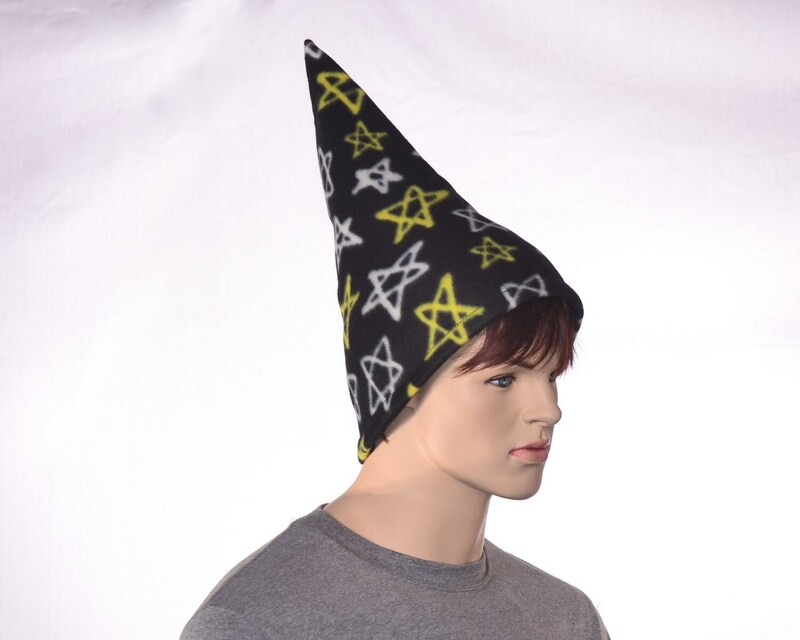 This hat measures about 16 inches tall. 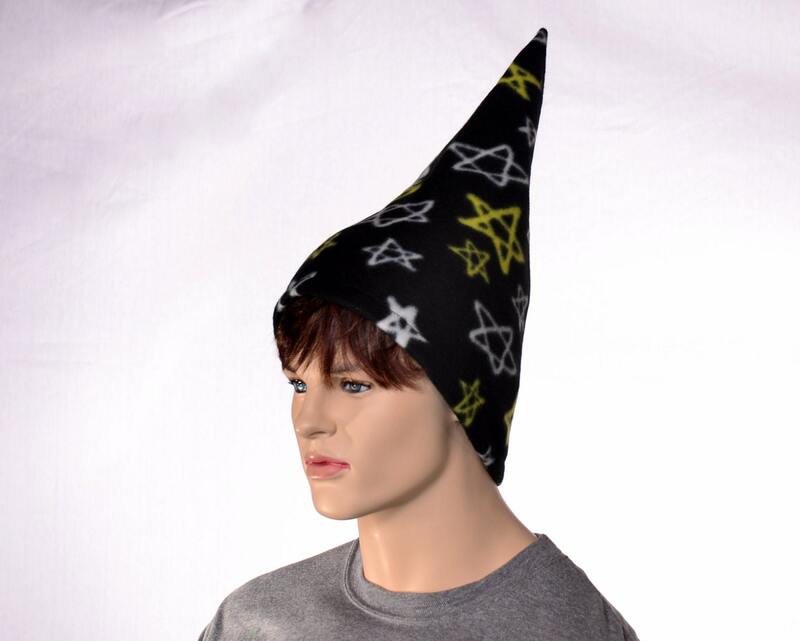 The upper portions of the hat are reinforced with heavy interfacing to keep the hat standing. 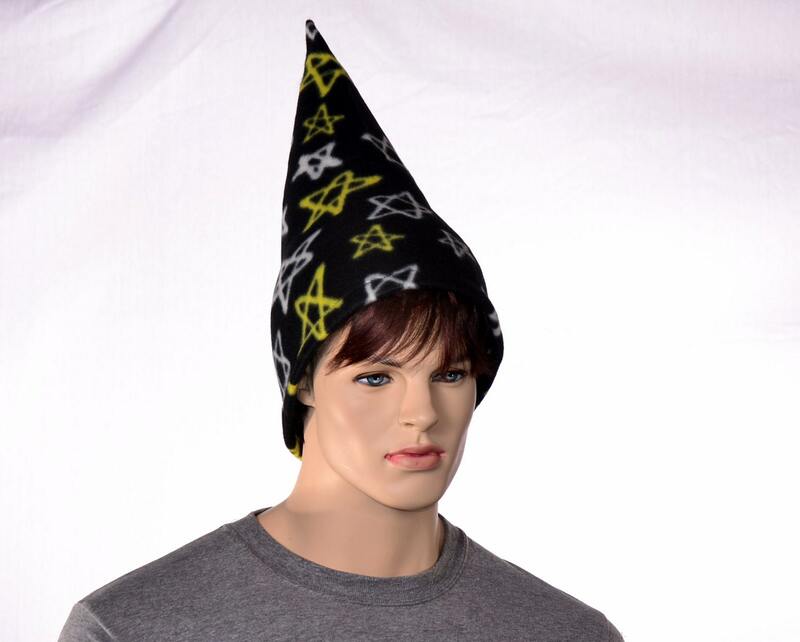 One size fits most adults with heads measuring 22-24 inches.